God inspires His all-time best-selling book, the Bible, explicitly to relate to His created men, women, boys and girls who bear His image. In it—from the very beginning of earth and creation—He documents the earliest history of His created world, to the Bible’s last book which gives us visions of eternity with Him. 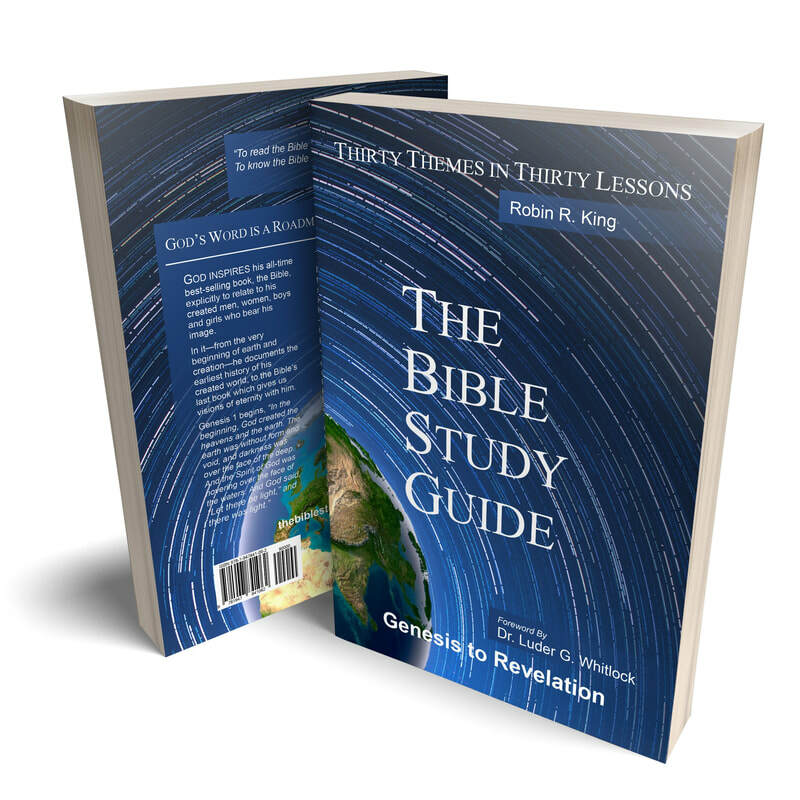 For individuals, small groups, classes and churches, this inter-denominational, inductive Bible Study plan is a learning format designed for a fuller understanding and knowledge of the structure, themes, sections, books, people, and major events of the whole Bible. The more we learn about our Creator and Savior, the more we want to read about His plan for our lives. For individuals, this guide can be used as a personal book study. The 200 key scriptures are devotional pages through the whole Bible clarifying God's plan through history. The 600 questions--also used in discussions by small groups and classes--will be your personal journal as you seek God's Word for your own understanding of His plan for your life. The Bible Study Guide helps small group leaders stay organized to actually move through the 30 lessons on a consistent pace of prayerful home study and robust group discussions. The Bible Study Forum helps equip small-group discussion leaders with best practices for facilitation that help engage all participants and stay on message for learning and growth. The inter-denominational Bible Study Guide helps churches in using Biblical Theology to advance Biblical literacy and spiritual growth. The Bible Study Forum helps equip teachers and small-group discussion leaders with supporting organizational and classroom materials to build classes, engage students, and develop an adult education option that unifies around Biblical essentials.